WASHINGTON (Yonhap) -- The United States Senate has confirmed President Donald Trump's pick for ambassador to South Korea, filling a post that has been vacant since the launch of the administration. 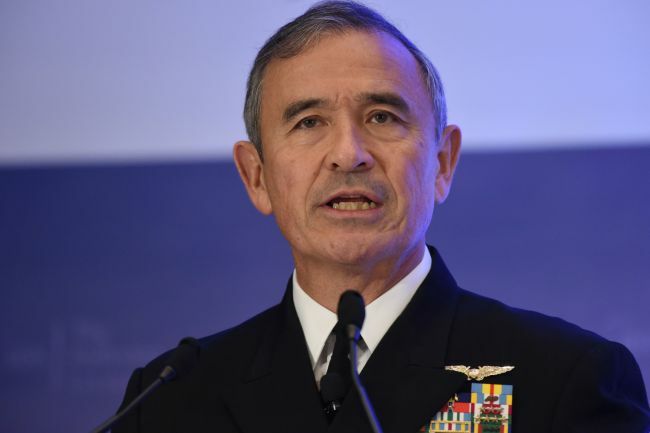 The Senate voted unanimously in favor of retired Adm. Harry Harris on Thursday, according to a diplomatic source. The former chief of the US Pacific Command is expected to take office early next month. Harris will serve as Washington's top envoy to Seoul at a time when the allies have been seeking close coordination on a range of issues, including North Korea's nuclear weapons program and bilateral trade. At his confirmation hearing earlier this month, Harris expressed support for Trump's decision to suspend joint military exercises with South Korea while the US negotiates the dismantlement of North Korea's nuclear weapons program. "I believe we should give exercises, major exercises, a pause to see if Kim Jong-un is in fact serious about his part of the negotiations," he said, referring to the North Korean leader. "Today, following the summit, we are in a dramatically different place." The Navy admiral was born in Japan to a Japanese mother and American father. He led the US Pacific Command in Hawaii for three years until last month, with oversight of the 28,500-strong US Forces Korea. On foreign policy issues, he is considered a hawk, along with some of the latest additions to Trump's national security team – Secretary of State Mike Pompeo and National Security Adviser John Bolton.